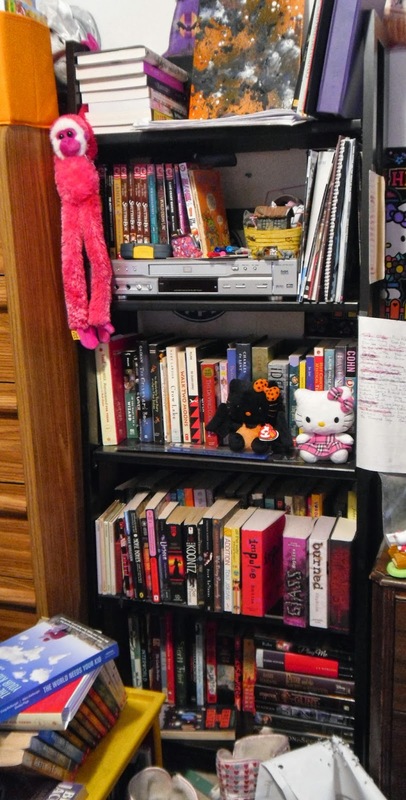 Books and Quilts: What's on Your Bookshelf? 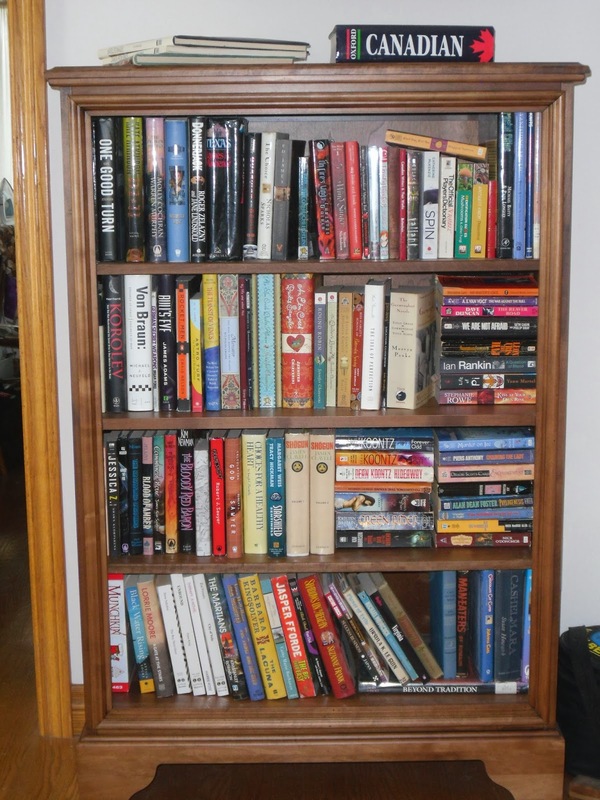 As for what I do with books I've read, it's either paperbackswap.com, where I can trade for more books* or the library. I am a member of Bookcrossing too (kathysfriend), but have only released a couple of books into the wild... and I live in a rural enough area that it's not quite as satisfying as it was when I was in a city. 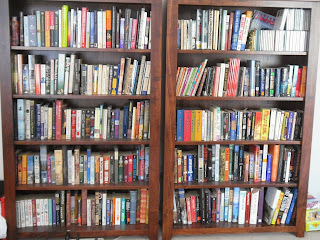 *I am also the Oma Who Gives Books - so paperbackswap.com allows me to find many books for the grandkids to read as they're growing up. It's easier to try something different and iffy when I've traded for a book rather than shelled out the cash, you know? The majority of the books on my shelves are unread. I keep some that IO read, if I especially enjoyed it and would recommend it to a friend - or maybe even reread sometime. The ones I discard are either given to a used bookstore, or put out for the recycling truck. 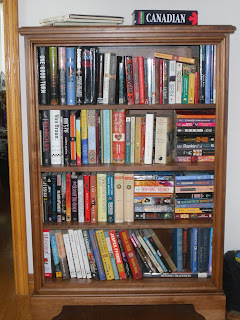 I admit there are a few books on my shelves I have not read or only partially read. I do give away those I know I will not refer to again, & I need to check out the website you listed. Periodically I purge the shelves when the collection becomes overwhelming. One of my friends has a dedicated library in her home which I envy, shelves to the ceiling & a proper ladder & all! I usually just read a book once, so I give it away when I'm done. And now, I'm really into e books, so my bookshelf is digital. Having said that, though, I do have three sets of shelves that are mostly full. 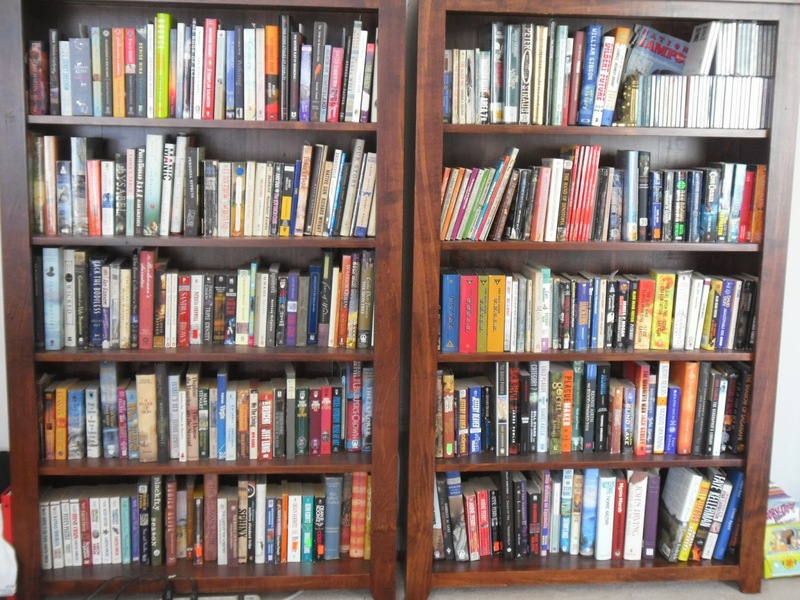 The house would feel pretty empty without some books around! Since I started blogging, I've been keeping most of the books I was given for review. However, I really need to start culling some of these, too. I used to be quite active in Bookcrossing (LazyDaisy0413), but haven't released books in a number of years. Long story. I keep meaning to get back to it. It was tons of fun when someone found one of my books. It was also fun to go hunting for books that other members released. Great post! Sorry I'm so late in commenting.